FORT WORTH, Texas--GENERAL MOTORS FINANCIAL COMPANY, INC. or the “Company”) announced income from continuing operations before income taxes of $416 million for the quarter ended December 31, 2018, compared to $498 million for the quarter ended September 30, 2018, and $301 million for the quarter ended December 31, 2017. Income from continuing operations before income taxes for the year ended December 31, 2018 was $1.9 billion, compared to $1.2 billion for the year ended December 31, 2017. Retail loan originations were $8.4 billion for the quarter ended December 31, 2018, compared to $6.7 billion for the quarter ended September 30, 2018, and $4.4 billion for the quarter ended December 31, 2017. Retail loan originations for the year ended December 31, 2018 were $26.2 billion, compared to $19.9 billion for the year ended December 31, 2017. The outstanding balance of retail finance receivables, net of fees was $40.7 billion at December 31, 2018. Operating lease originations were $5.2 billion for the quarter ended December 31, 2018, compared to $5.4 billion for the quarter ended September 30, 2018, and $5.8 billion for the quarter ended December 31, 2017. Operating lease originations for the year ended December 31, 2018 were $22.6 billion, compared to $25.4 billion for the year ended December 31, 2017. Leased vehicles, net was $43.6 billion at December 31, 2018. The outstanding balance of commercial finance receivables, net of fees was $12.7 billion at December 31, 2018, compared to $11.1 billion at September 30, 2018 and $10.3 billion at December 31, 2017. Retail finance receivables 31-60 days delinquent were 3.3% of the portfolio at December 31, 2018 and 4.1% at December 31, 2017. Accounts more than 60 days delinquent were 1.4% of the portfolio at December 31, 2018 and 1.7% at December 31, 2017. Annualized net charge-offs were 1.8% of average retail finance receivables for the quarter ended December 31, 2018 and 2.2% for the quarter ended December 31, 2017. For the year ended December 31, 2018, net charge-offs were 1.8% of average retail finance receivables, compared to 2.0% for the year ended December 31, 2017. The Company had total available liquidity of $26.2 billion at December 31, 2018, consisting of $4.9 billion of cash and cash equivalents, $18.0 billion of borrowing capacity on unpledged eligible assets, $0.3 billion of borrowing capacity on committed unsecured lines of credit, $1.0 billion of borrowing capacity on the Junior Subordinated Revolving Credit Facility from GM, and $2.0 billion of borrowing capacity on the GM Revolving 364-Day Credit Facility. Earnings resulting from the Company's equity investment joint ventures that conduct automotive finance operations in China were $42 million for the quarter ended December 31, 2018 compared to $44 million for the quarter ended September 30, 2018, and $44 million for the quarter ended December 31, 2017. Earnings for the year ended December 31, 2018 were $183 million, compared to $173 million for the year ended December 31, 2017. On October 31, 2017, we completed the sale of certain of our European subsidiaries and branches (collectively, the "European Operations") to Banque PSA Finance S.A. and BNP Paribas Personal Finance S.A. The European Operations are presented as discontinued operations in our consolidated financial statements for the year and quarter ended December 31, 2017. Unless otherwise indicated, information in this release relates to our continuing operations. 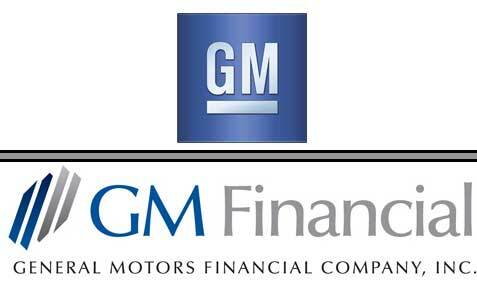 General Motors Financial Company, Inc. is the wholly-owned captive finance subsidiary of General Motors Company and is headquartered in Fort Worth, Texas. In lieu of a conference call, management recorded remarks addressing the Company’s results of operations for the year and quarter ended December 31, 2018. This recording, along with the presentation slides and this release, will be posted to the Company’s website on February 6, 2019 at 11:00 a.m. central time. The recording and materials can be accessed via the Investor Relations section of the Company’s website at www.gmfinancial.com.